Well got to say I’m really running well behind with the blog’s. I could lump everything together but that seems a bit unfair at this stage. 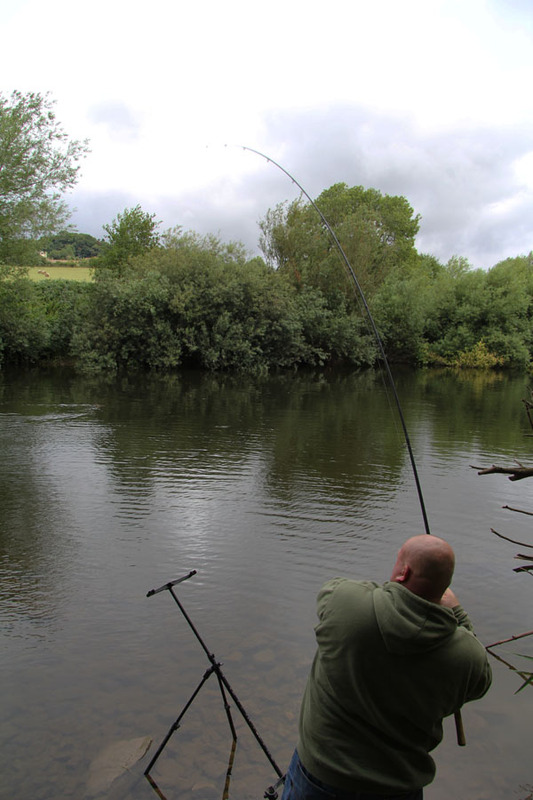 First up is a trip to the Wye with Daffers and Carl. They are fellow Tench Fishers and do enjoy other forms of fishing as do most of the members. I think if you asked how long the tench the season lasts most would say April through to when they spawn, a few do carry on until September. So I met them I would like to say bright and breezy, however best laid plans didn’t work out. Breezy being the operative word. With gales forecast they decided to close the first severn bridge so I used the other one then with road closures and diversions it was about a hour late that I had got there. However i did phone ahead and say that I would be late. They only stopped off and had a full fry up while I was going to be late! Never mind I was hopping mad to be late. 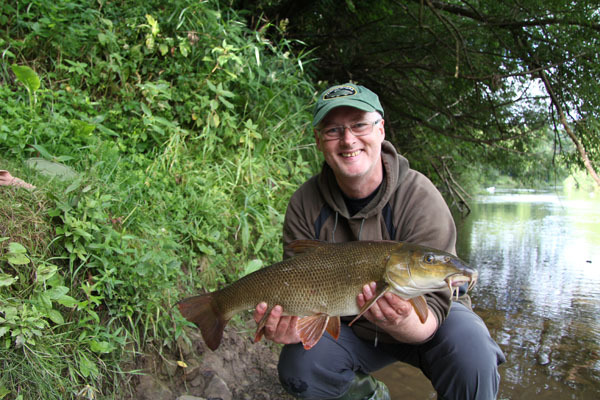 This barbel took a fair while to bring to the net. It really put up a fantastic scrap in the current. 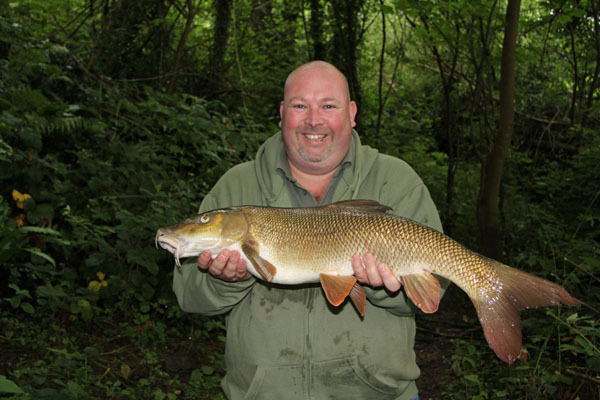 Carl eventually landed a beautiful 9lbs 1oz barbel. I was over the moon with the result for Carl as this had improved his pb each time he has been with me. So the day turned to late evening and we decided to call it a day and pack for home. I think it was something they both enjoyed and will be back for sure. We had a great time with lots of banter and leg pulling. This entry was posted on Thursday, August 13th, 2015 at 5:39 pm	and is filed under Uncategorized. You can follow any responses to this entry through the RSS 2.0 feed. Both comments and pings are currently closed.